Text by Daniel A. Siedell, Matthew Birom, Peter Boswell, Michael W. Darling, John Felstiner, Ivan Gaskell, Thomas McEvilley, Charles Merewether, Frances K. Pohl, Mary Rakow, Michael Slenske, Abigail Solomon-Godeau. Text by Sabine Breitwieser, Laura Hoptman, Michael Darling, Jeffrey Grove, Lisa Lee. Foreword by Carolyn Christov-Bakargiev, Madeleine Grynsztejn. Text by Michael Darling, Theaster Gates, Matthew Jesse Jackson, John Preus. Conversation with Carolyn Christov-Bakargiev. Edited by Juan Roselione-Valadez. Foreword by the Rubell family. Text by Michael Darling, Heidi Zuckerman Jacobson, Rene Morales, Catherine Taft, Ali Subotnick. Edited by Michael Darling. Text by Graham Bader, Michael Darling, Elizabeth Mangini, Mika Yoshitake. Artwork by Roy McMakin. Edited by Lisa Mark. Text by Michael Darling. In 1990 Enrique Martínez Celaya left a promising career in physics for art and since then he has pursued his work with a singular and uncompromising vision. Working in a variety of media and deeply engaged with philosophy, literature and science, Martínez Celaya has created an expansive body of work that has led him to become one of his generation’s most influential artists. 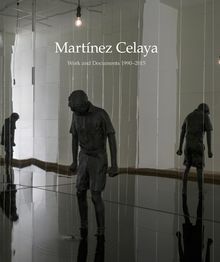 This publication, the product of extensive research from his studio’s archive, traces the development of Martínez Celaya’s thought through previously unpublished photographs; illustrations of hundreds of artworks; archival notes and writings; sketches and drawings for his public projects and exhibitions; excerpts from the critical reception of his work; and an insightful introduction to the artist’s work by art historian and long-time collaborator Daniel A. Siedell. Martínez Celaya’s work examines the complexities and mysteries of individual experience, particularly in its relation to nature and time, and explores the question of authenticity revealed in the friction between personal imperatives, social conditions, and universal circumstances. His work can be found in the permanent collections of the Metropolitan Museum of Art (New York), the Los Angeles County Museum of Art (Los Angeles), the Whitney Museum of American Art (New York), the Moderna Museet in Stockholm and the Phillips Collection in Washington DC, among others. He has received the Knight Foundation Grant, the National Artist Award from the Anderson Ranch Arts Center, the California Community Foundation Fellowship, J. Paul Getty Trust Fund for the Visual Arts, the Young Talent Award from the Los Angeles County Museum of Art, and he was a Regents Fellow of the University of California at both Berkeley and Santa Barbara. Enrique Martínez Celaya was born in Cuba in 1964 and raised in Spain and Puerto Rico. He initiated his formal training as an apprentice to a painter at the age of 12. He studied Applied & Engineering Physics at Cornell University and pursued a Ph.D in Quantum Electronics from the University of California, Berkeley, before leaving physics for art. He attended the Skowhegan School of Painting & Sculpture and earned a Master of Fine Arts from the University of California, Santa Barbara. Martínez Celaya taught as a tenured professor in the faculty of Pomona College and Claremont Graduate University, is a trustee of the Anderson Ranch Arts Center and was honored as the second Presidential Professor in the history of the University of Nebraska. Martínez Celaya lives and works in Los Angeles, California. Hardcover, 9 x 12 in. / 400 pgs / 293 color. 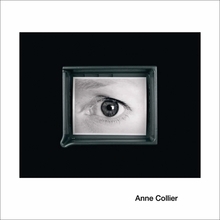 New York-based conceptual photographer Anne Collier (born 1970) creates neutral images of objects that already exist in the world, often charged with undercurrents of emotional complexity and vulnerability. Her work deftly addresses subjects inherent to both the act and industry of photography while simultaneously lampooning clichés and uncovering hidden truths. Describing Collier's work in Frieze magazine, the acclaimed author and critic Brian Dillon wrote, "Collier uncouples the machinery of appropriation so that her found images seem weightless, holding their obvious meaning in abeyance." This volume, part of the MCA Monograph series, accompanies the first major solo US exhibition of Collier's work. Alongside a selection of color plates, Michael Darling, James W. Alsdorf Chief Curator at the MCA, reviews the works in the exhibition within the context of the artist's career; Chrissie Iles, Anne and Joel Ehrenkranz curator at the Whitney Museum of American Art, examines the artist's position within photographic and cinematic history; and novelist Kate Zambreno considers the fragments of lost objects and what it means to collect. Hardcover, 10 x 10 in. / 116 pgs / 55 color. Edited by Jochen Eisenbrand, Alexander von Vegesack. Text by Stanley Abercrombie, Jochen Eisenbrand, Michael Darling, Barbara Fitton Hauss, Mathias Remmele. 2008 marked the 100th birthday of George Nelson (1908-1986), one of the most influential figures in American design during the second half of the twentieth century. Nelson was not only a leading designer and notable architect, but also a prominent author, editor, lecturer, exhibition designer and a passionate photographer. 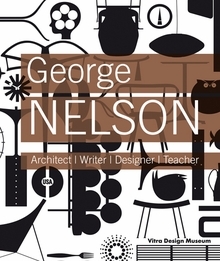 This catalogue accompanied the first comprehensive retrospective of George Nelson's work. With eight essays by German and American design historians, the publication explores all aspects of Nelson's oeuvre, many of which are presented here for the first time. The catalogue also includes an illustrated list of works. The majority of illustrations, previously unpublished, come from the Nelson Estate in the Vitra Design Museum Archive. Clth, 9.5 x 11.5 in. / 352 pgs / 763 color. 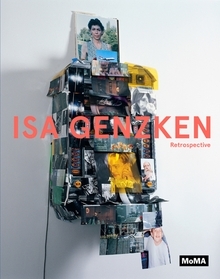 Isa Genzken is arguably one of the most important and influential female artists of the past 30 years, yet the breadth of her achievement--which spans sculptures, paintings, photographs, collages, drawings, artist’s books, films, installations and public works--is still largely unknown in the United States. Published in conjunction with the first comprehensive retrospective of the artist’s epically diverse body of work, this publication encompasses Genzken’s work in all media over the past 40 years and is the most complete monograph on the artist available in English. Genzken has been part of the artistic discourse since she began exhibiting in the mid-1970s, but over the last decade a new generation of artists has been inspired by her radical inventiveness. The past ten years have been particularly productive for Genzken, who has created several bodies of work that have redefined assemblage for a new era. The catalogue presents Genzken’s career, through essays exploring the unfolding of her practice from 1973 until today, as well as an expansive plate section that provides a chronological overview of all her most important bodies of work and key exhibitions. Born in Germany in 1948, Isa Genzken is one of Germany’s most important living artists. In the mid-1970s, as a student at Düsseldorf’s renowned Kunstakademie, she created geometric wood sculptures, which gained her early international acclaim (she exhibited these works at Documenta 7 and the Venice Biennale in 1982). Since then, she has made sculptures in plaster, concrete and epoxy resin. Ranging in size from maquettes to monumental, these abstract works are influenced by Minimalism, but are decidedly narrative. 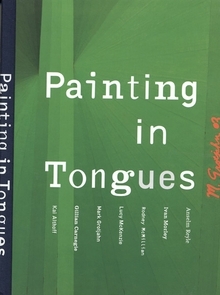 Paintings that examine ideas of surface and light, as well as photographs, collages, artist’s books and films, followed in the 1990s. From the late 90s on, Genzken began to create increasingly complex sculptural installations. Clth, 9.5 x 12 in. / 315 pgs / 320 color. 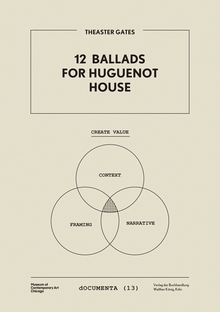 12 Ballads for Huguenot House chronicles a project by American installation artist Theaster Gates (born 1973), in which he united two disused buildings--one in Chicago and the other in Kassel, Germany--by dismantling parts of each to reuse in the rebuilding of the other. Huguenot House, in Kassel, was built in the early nineteenth century by migrant workers, as were so many of the houses in Gates’ own neighborhood in Chicago, and today is in a state of disrepair. Gates therefore proposed an architectural exchange, transporting materials from a dilapidated building in Chicago to renovate Huguenot House, while reusing materials from Huguenot House to reconstruct the Chicago building. Clth, 7.75 x 10.75 in. / 128 pgs / 103 bw. How Soon Now catalogues additions to the collection of the Rubell Family as well as older works by artists such as John Baldessari, Cecily Brown, Thea Djordjadze, Matthew Day Jackson, Huan Yong Ping, Analia Saban, Ryan Trecartin, Kaari Upson and David Wojnarowicz. 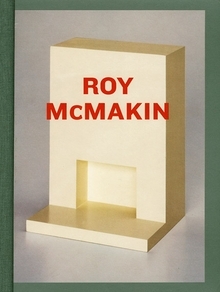 Paperback, 8.5 x 11 in. / 175 pgs / 174 color. 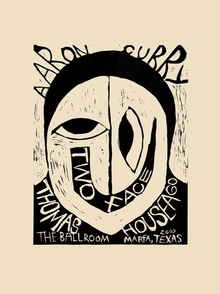 Two Face is an exhibition by Ballroom Marfa artists-in-residence Aaron Curry (born 1972) and Thomas Houseago (born 1972). Based in Los Angeles, Curry and Houseago are sculptors who adopt a Janus-faced approach to form and process, simultaneously looking to the past and the future. Their Marfa exhibition is the culmination of a joint residency that nurtured the intense dialogue the artists have established. Hardcover, 8.25 x 11 in. / 184 pgs / 125 color. Published by Seattle Art Museum. Target Practice: Painting Under Attack 1949-78 is an international historical survey of the "attacks" that painting endured (and survived) in the years following World War II. For the artists discussed here, coming after Abstract Expressionism, painting had arrived at an impasse, and they devised ways to overcome its existing conventions. This phenomenon occurred all over the world, and Target Practice documents how and why artists felt compelled to shoot, rip, tear, burn, erase, nail, unzip and deconstruct painting in order to usher in new ways of thinking about their art. It shows that such ideas were of concern to well-known artists like Jasper Johns, Roy Lichtenstein and Andy Warhol, and also introduces lesser-known peers who were making equally challenging work. Hardcover, 10.25 x 12.25 in. / 156 pgs / 98 color / 39 bw. The inspiration for this book began at the Los Angeles Museum of Contemporary Art with Paul Schimmel's seminal 1992 exhibition Helter Skelter, which introduced to the world the wide-ranging, dissident influence of Los Angeles art. Upon seeing that show, Miami's Rubell family began to collect important L.A. artists of the 1980s and 90s. 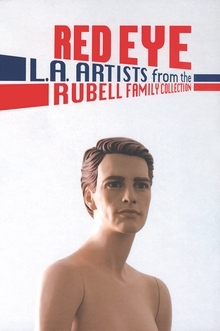 Recently, the Rubells added a new group of Los Angeles artists to their storied collection. This volume examines juxtapositions and interrelationships between the two generations, with work by Doug Aitken, John Baldessari, Chris Burden, Brian Calvin, Mark Grotjahn, Evan Holloway, Mike Kelley, Barbara Kruger, Paul McCarthy, Jason Meadows, Catherine Opie, Kaz Oshiro, Laura Owens, Raymond Pettibon, Charles Ray, Jason Rhoades, Jim Shaw, Yutaka Sone and Ricky Swallow, among others. Hardback, 7 x 9.5 in. / 218 pgs / 165 color. Saucy and ironic, Sam Durant's works address utopias and their failures, crossing events from the recent American past to create relationships between the art historical, pop cultural, and political phenomena that have come to define popular culture over the past 35 years. 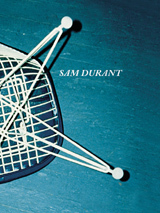 Conceptually conceived, multimedia in practice, Durant's installations refer to such guiding figures as Robert Smithson, Mick Jagger, Neil Young, and Black Panther cofounder Huey Newton. Hardcover, 9.5 x 7.5 in. / 80 pgs / 96 color / 15 bw.